Our goal at S&B Financial Services is to assist individuals and businesses within the communities we serve to navigate the ever changing financial landscape. We seek to provide financial solutions by asking questions and understanding a client’s life goals. Our financial advisors can then make recommendations to help build, manage, protect, and distribute wealth. We are proud to be a part of the Saco & Biddeford Savings family and the opportunities this relationship provides to reach those in the communities we do business in. Founded in 2010, S&B Financial Services brings clients over 25 years of collective planning experience. Serving individuals, families, and business owners, we are dedicated to securing and protecting your financial freedom. While our dynamic team unites a spectrum of expertise, we focus our practice right here in the heart of your community. With seven locations in York and Cumberland counties, we proudly serve clients in Biddeford, Saco, Old Orchard Beach, Scarborough, South Portland, and Westbrook. Beyond Maine, New Hampshire, and greater New England, we have client relationships in Florida and across the country. 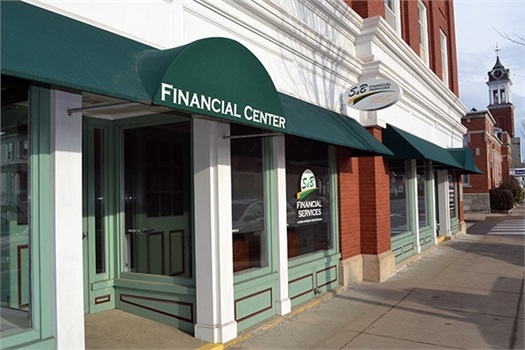 As a defining feature of our firm, we provide clients with comprehensive and custom service conveniently located in your local Saco & Biddeford Savings branch. Backed by Cetera Investment Services, S&B Financial Services delivers the industry’s leading financial solutions in a down to earth, authentic environment. It’s a unique synergy that combines a prominent national investment and insurance firm with the comfort and security of a location you already know and trust.